Join us in San Antonio at the PROSALES 100 CONFERENCE! If you are interested in being notified when registration opens, please complete the form below. 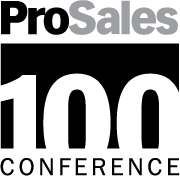 The presentations from the 2018 PROSALES 100 CONFERENCE are now available. To access them, please click here. We are also excited to share some photos from the 2018 event.